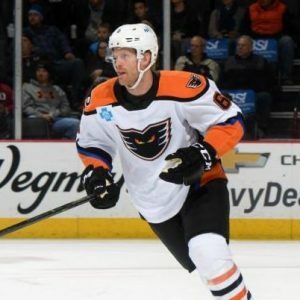 Philip Samuelsson played his 500th professional game on Sunday January 13, 2019 in Hershey. 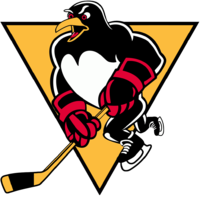 Samuelsson has played 13 NHL games in his career with the Pittsburgh Penguins and Arizona Coyotes, 482 games in the AHL, and 5 in the ECHL. 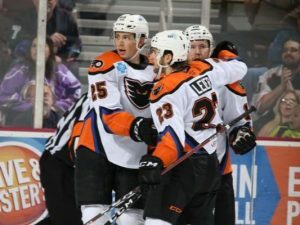 Taylor Leier returned to the lineup on Sunday and scored two goals for the Phantoms in Hershey. He also added an assist for his first three point game of the season. It was the second straight game at Giant Center that Leier notched two goals, after scoring twice on December 22 as well. Zach Palmquist scored his third goal of the season on Friday January 11, 2019 against the Binghamton Devils. Palmquist scored the lone tally for the Phantoms with a shot from a crazy angle along the boards 12:55 into the third period. 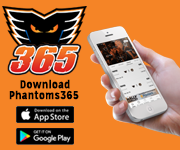 The Phantoms returned to PPL Center for the first time in 2019 and ultimately fell to the Binghamton Devils in their last meeting of the season. 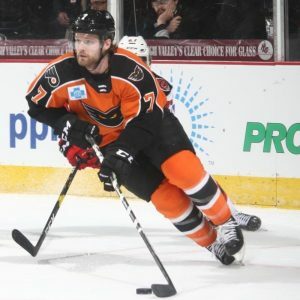 Zach Palmquist scored his third goal of the season in the third period but the Phantoms were unable to tie the game late, even with 10 shots in the final frame. 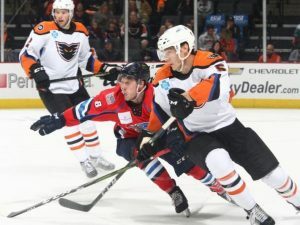 On Saturday, the fourth straight PPL Center sellout, the Phantoms saw their nine-game winning streak at home against the Hershey Bears come to an end. It was the Bears first win in Allentown since April 5, 2017 as the Phantoms were shutout for just the second time this season. 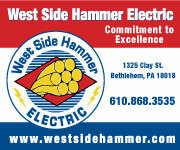 The Phantoms were unable to complete the comeback on Sunday in a rematch with the Bears in Hershey. 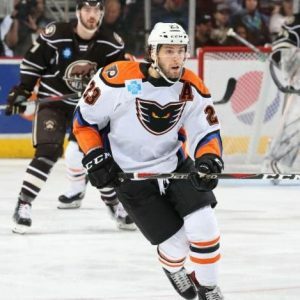 Taylor Leier tallied two goals and an assist for the Phantoms. It was the second straight game at Giant Center in which he scored twice. Connor Bunnaman and Mike Vecchione also notched goals for the Phantoms. 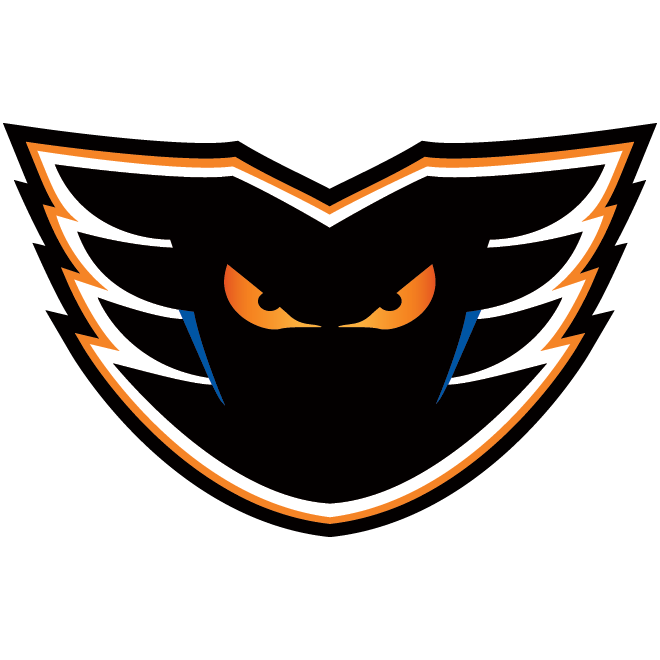 Lehigh Valley Phantoms take on the Springfield Thunderbirds for the sixth and final time this season. The Thunderbirds currently sit in third place in the Atlantic Division, one spot ahead of the Phantoms. Lehigh Valley is 3-2 against Springfield this season and 1-1 at PPL Center. 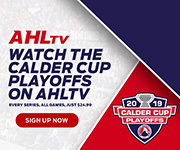 In their most recent matchup, Lehigh Valley topped Springfield 4-3 thanks to an overtime winner from Mark Friedman in Springfield on January 6, 2019. 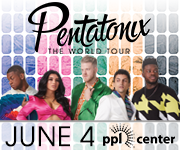 Lehigh Valley will travel to Hartford for the third and final time this season on Friday. They are currently 1-1 against the Wolf Pack this season with a 7-3 victory on October 24 and a 3-1 loss on January 5. Hartford is currently in 7th place in the Atlantic Division with an 18-17-2-2 record. 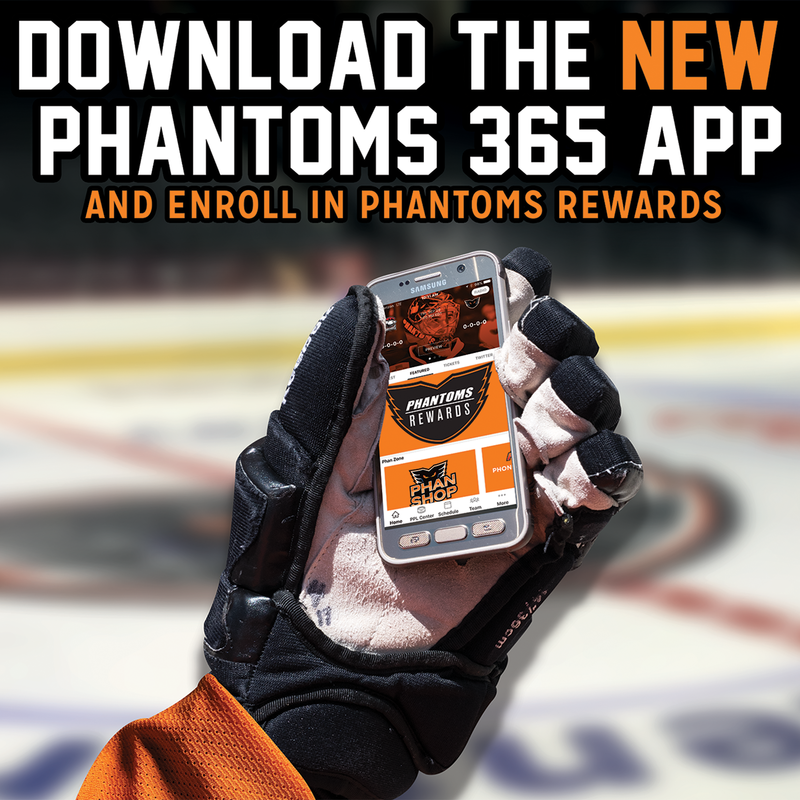 The Phantoms will be back at PPL Center on Saturday for STARS WARS NIGHT as they face the Rochester Americans for the first time this year. 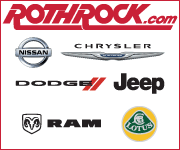 Rochester is currently 23-12-2-0 and sits first in the North Division. 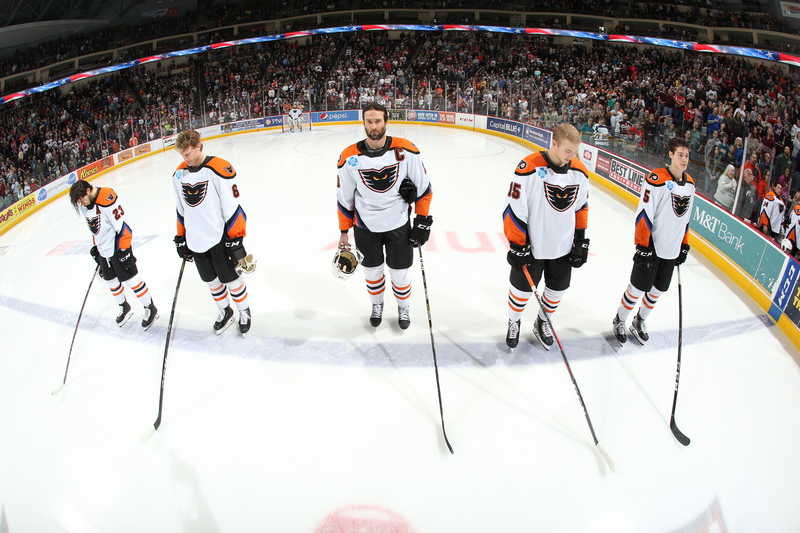 Lehigh Valley was 1-1 against Rochester last season. 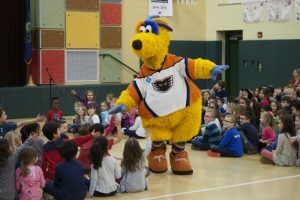 The Lehigh Valley Phantoms officially kicked off their 2019 Bully Busters Unite Program on January 10, 2019 at Willow Lane Elementary School in Macungie, PA. 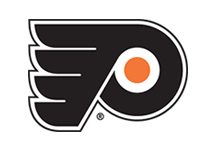 The Phantoms also visited Brandywine Heights Elementary and Middle School in Topton, PA this morning, January 15, 2019. Phantoms’ mascot, MeLVin spent time with the kids and helped to teach them some helpful tips for dealing with situations of bullying. To book your school for Bully Busters, please email mianniello@phantomshockey.com.